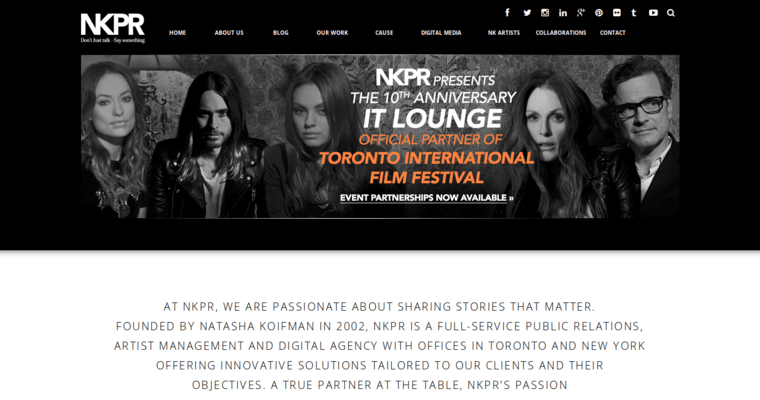 NKPR Public Relations Agency is a full service public relations and management firm. 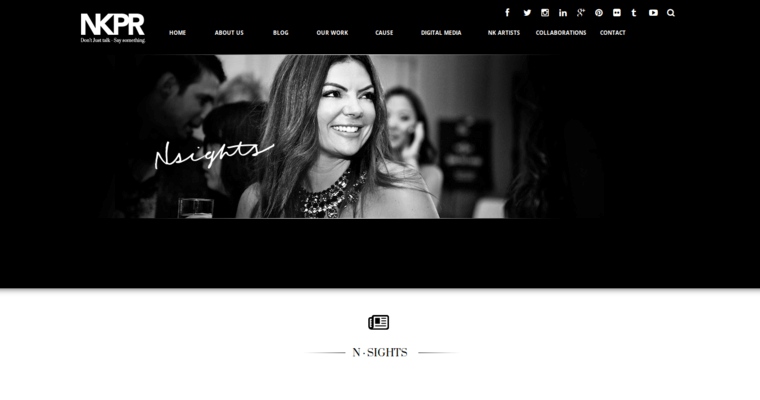 Developed in 2002 by Natasha Koifman, the firm has gone on to win several awards in the public relations field. NKPR specializes in the development of brand association, communications strategies, and advertising campaigns for new and existing companies. 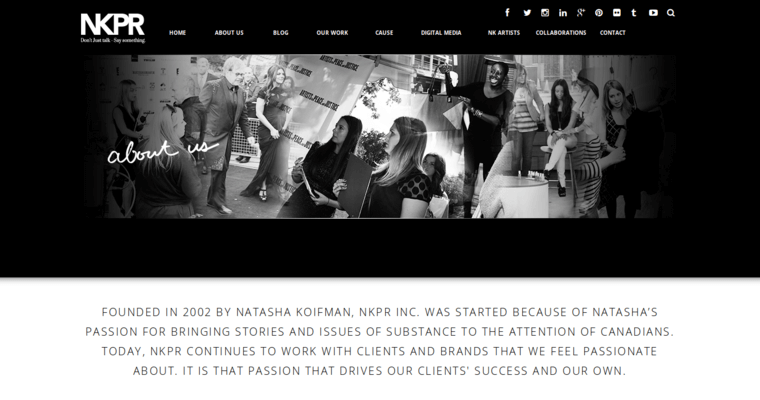 To help companies to develop successful marketing campaigns, NKPR offers services in digital and social media, success metrics, showroom and media integrations, event management, and creative writing services. This firm has developed advertising and other marketing campaigns for businesses like David's Tea, Mulberry USA, and The Globe and Mail.